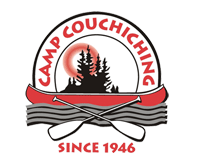 Thank you for accessing the Camp Couchiching website. 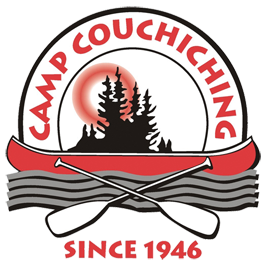 Camp Couchiching will not to disclose your private information to any third party except if required to do so by law, or in the good faith belief that such action is necessary to comply with legal process, respond to claims, or to protect the rights, property or safety of the Camp Couchiching community or the public. We take all reasonable care, both technically and in practice, while handling your personal information to ensure its security both offline and online. You have a right to know what we are doing with your information and we encourage you to make use of our contact information to inquire. It is a condition of your use of www.campcouchiching.com web site that you: conduct yourself in a manner consistent with the Camp Couchiching mission statement; acknowledge that this site is not moderated; acknowledge that Camp Couchiching is not under any obligation to monitor or censor the material generated by users of the site, however it reserves the right to do so; acknowledge that Camp Couchiching is not responsible for the content. Additionally, considerable effort went into preparing the on-line materials on the Camp Couchiching Web Site, and we try to keep the information correct and up-to-date. However, Camp Couchiching and its agents shall not be held liable for any damages, however caused, by errors or omissions that may have occurred in the preparation of these pages. In addition, Camp Couchiching bears no direct responsibility for the statements made by its employees, campers, LDPs and visitors - all though it is assumed that all will behave in a responsible manner. You are free to browse the www.campcouchiching.com without submitting any personal information at all. Your IP address (your current Internet address) is stored in the server logs at the time of your visit, as it is on all web sites. We do not collect any personal information (such as a name, address or e-mail address) when you visit the site unless you register for camp or choose to make any other transaction. This site is bound to comply with Personal Information Protection and Electronic Documents Act (PIPEDA). We pledge to do what we must to comply with this act and encourage individuals to contact us if there is a problem. At Camp Couchiching, we strive to be an inclusive community. 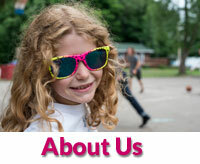 We do our best at camp and in our communications including through, campcouchiching.com, to comply with American 508 standards for accessibility and AODA (Accessibility for Ontarians With Disabilities Act). 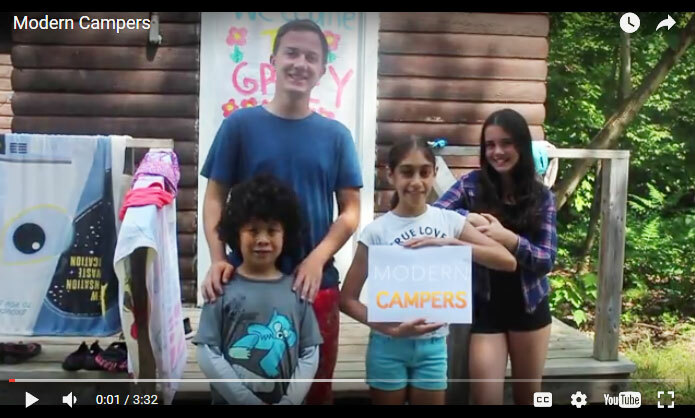 We welcome any feedback about how accessible you believe our camp and this site to be and how you may feel we could modify it to better serve your needs. It is the policy of Camp Couchiching to respect the intellectual property rights of others. 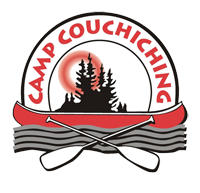 In connection with this policy, Camp Couchiching will not knowingly post content or other works of authorship that infringe the copyright rights of others. Material displayed on the danishnet.com website may not be copied, reproduced, or republished without the prior written permission of Camp Couchiching. Images displayed on CampCouchiching.com may be used on other websites provided a link is given back to either the page where the image was taken from or another page on CampCouchiching.com. Images displayed on Camp Couchiching may not be used for print. Camp Couchiching hereby gives formal notice that any person found to be guilty of any abuse of this website is liable to be pursued for any damage caused, and furthermore any damage caused to the intellectual property rights of Camp Couchiching. We are not responsible for the content or privacy practices on any web site not operated by us, to which the Site links or that links to the Site. help you quickly find information, resources and services. alert you to new information, resources and services that we offer. Several locations of the Site permit you to enter your email address for purposes including but not limited to: enquiriing about the camp and/or its programs, purchasing, reserving, or booking services. Your participation is completely voluntary, so you have a choice whether to participate and disclose information to us. If you prefer not to submit information over the Internet, we welcome your call. Access to your personal information is restricted. Only employees who need access to your personal information to perform a specific job are granted access to your personal information. We may use Google AdWords to advertise our website and camp across the Internet. AdWords remarketing will display relevant ads tailored to you based on what parts of the Site you have viewed by placing a cookie on your machine. This cookie does not in anyway identify you or give anyone access to your computer. The cookie is used to say "This person visited this page, so show them ads relating to that page." Google AdWords Remarketing allows us to tailor our marketing to better suit your needs and only display ads that are relevant to you. If you do not wish to participate in our Google AdWords Remarketing, you can opt out by visiting Google's Ads Preferences Manager. You may also select anonymous or incognito browsing in most major Internet web browsers. (a) Internal Use. We use your personal information to provide you with customer service. We may internally use your personal information to improve the Sites' content and layout, to improve outreach and for our own marketing efforts (including marketing our services and resources to you), and to determine general marketplace information about visitors to the Site. (b) Communications with You: We will use your personal information to communicate with you about the Site. We may send you a service-related announcement on the rare occasions when it is necessary. Also, you may submit your email address for reasons such as to request more information or to apply for a program or to sign up for email newsletters and special offers. If you submit your email address, we use it to deliver the information to you. We always permit you to unsubscribe or opt out of future emails (see the opt out section, below, for more details). (c) External Use. We do not sell, rent, trade, license or otherwise disclose your specific personal information. Camp Couchiching will not knowingly disclose your personal information to third parties without your consent. Camp Couchiching may disclose user information in special cases when we have reason to believe that disclosing this information is necessary to identify, contact or bring legal action against someone who may be causing injury to or interference with (either intentionally or unintentionally) Camp Couchiching rights or property, Camp Couchiching web site users, or anyone else that could be harmed by such activities. Camp Couchiching may disclose user information when we believe in good faith that the law requires it. All data is stored using appropriate measures to protect against the loss, misuse and alteration of data used by our system. All of these identifiers collect very limited information that helps us with our marketing initiatives and is likely to include no more than the time and date of a page being viewed and the name and location (url) of the page on which the Web Beacon resides. If you are concerned about this, you can disable identifiers by disabling HTML images or refusing HTML (use Text only) emails via your email software. Upon your request, we will (a) correct or update your personal information and/ore (b) stop sending emails to your email address. You can make these requests by telephoning, or emailing your request.